United States is the leading biopharma market worldwide. In fact, it is estimated to provide more than 850,000 jobs related with the sector in the country alone and its revenues are around $1.2 billion dollars. But biopharmaceutical production goes beyond America’s borders and extends worldwide. Many of these US companies are suppliers to organizations such as the UK National Health Service (NHS). This means they are now faced with the challenge of adapting to the new e-Procurement strategy. What is the NHS e-Procurement Strategy? The NHS e-Procurement Strategy is an initiative by the UK Department of Health designed to remove paper from all procurement-related processes. This technological leap involves the use of PEPPOL and GS1 standards to maintain security and ensure smooth electronic communication between the different partners. Electronic Data Interchange. NHS e-Procurement requires the use of EDI for Purchase Order, Order Response, VAT Invoice and Credit Note. These messages must be created with the PEPPOL standard to ensure security and interoperability. This takes paper out of the loop, along with all the costs arising from its storage and sending. In addition, the processes are automated, so businesses gain in efficiency. Electronic Data Synchronization. 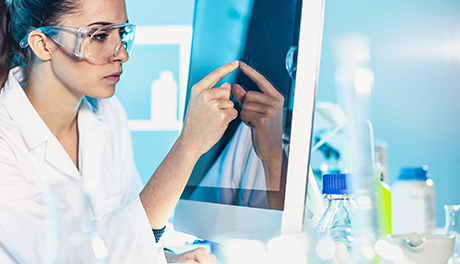 Biopharma companies supplying the NHS need to implement an electronic data catalogue or Data Pool, authorized to operate in the GDSN network. This allows clear identification of the references of all products to be supplied to British hospitals and trusts. In addition, synchronization keeps the product data updated in real time, avoiding any possible failures that could put patient safety at risk. Integration with the e-Procurement platform. This is one of the major challenges faced by the biopharma sector. Businesses need to integrate their ERPs or in-house management systems with the platform developed by the NHS. This is a crucial step in automating data extraction, transforming them into the required format and validating them before forwarding them to the public sector. How to adapt to the NHS e-Procurement Strategy? Accreditation as Access Point for the PEPPOL platform. Data Pool e-catalogue authorization, granted by GS1, to operate in the GDSN network. The technology solutions are scalable and global, so they not only cover the need to connect with the NHS but also with any other organization in the international scope, an increasingly important requirement due to the spread of B2G electronic invoicing. EDICOM is technology leader in the pharmaceutical sector, with specific e-communication platforms such as Business@Mail Pharma. The company has offices in the United States and Europe, which facilitates implementation of the technology and subsequent support (24x7x365).